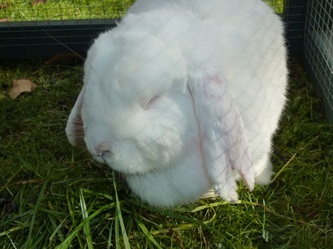 Frosty is a female albino dwarf lop. 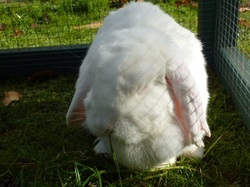 She came into rescue as her previous owners are emigrating. 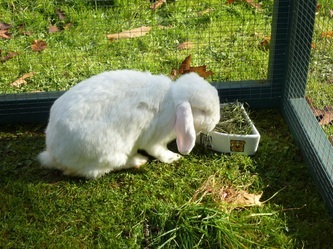 Frosty came to us with her companion, Mischief, but we have had to separate these 2 bunnies as they have been fighting. This can be seen by the fact that Frosty is missing part of her ear! She has been neutered and so is ready for rehoming ideally with a neutered male companion.